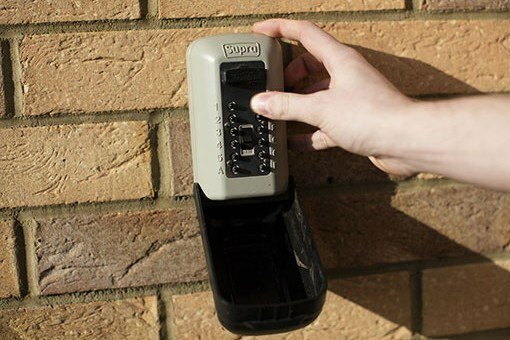 We recommend that all of our customers use a key safe to ensure our 24 hour response officers can gain access to your house in an emergency situation. The code for the key safe is only known to Ostara and is stored securely so it can only be accessed by Ostara when an emergency call is made meaning it is extremely secure. The key safe is a small grey box with an easy push button keypad with over 4000 possible code combinations. The push buttons are made of plastic as to prevent any attempt to forcible break into it with the case itself being made of stainless steel. It�s an incredibly robust piece of equipment that is drilled into a wall with self-tapping masonry boards making it secure. The opening mechanism is a metal catch that is only openable with the correct code. The key safe is recommended for all of our customers.